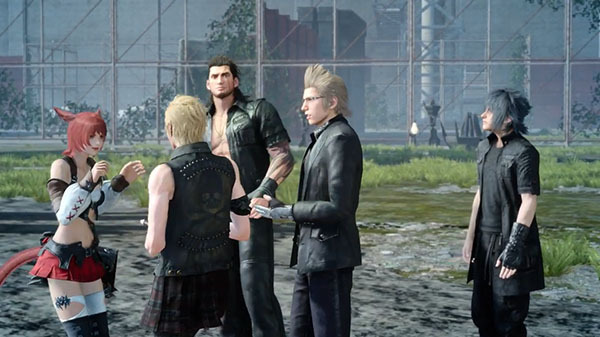 Square Enix has released the launch trailer for the November-announced Final Fantasy XIV-themed collaboration quest for Final Fantasy XV, which is available now via a free update. The event introduces a new in-game quest titled “Adventurer from Another World,” wherein Noctis embarks on a journey with the mysterious Miqo’te “Y’jhimei” to Perpetouss Keep, which concludes in a fierce battle with Garuda from Final Fantasy XIV. Players who complete the quest will receive special edition Final Fantasy XIV-themed costumes as a reward.